PHOENIX -- The U.S. Department of the Interior will trigger a "high-flow release" at Glen Canyon Dam beginning Nov. 11 and lasting four days. The release is part of a long-term strategy that was announced in May 2012 by former Secretary of the Interior Ken Salazar to meet water and power needs, as well as to allow better conservation of sediment downstream and to better address the important resources in the Colorado River below Glen Canyon Dam. 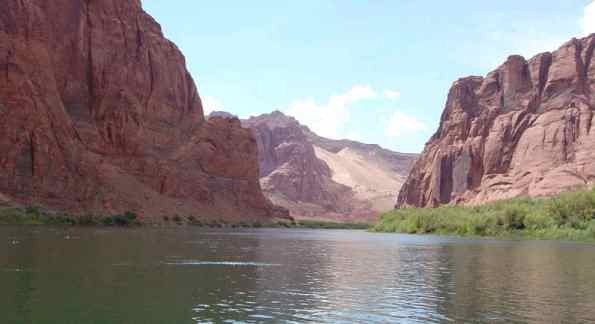 The upcoming high-flow release, which will be the second under the new high flow experimental protocol, is designed to take advantage of sediment deposited by Colorado River tributaries as a result of recent rainstorms and monsoons. Scientists have determined that the right conditions exist to conduct a high-flow release to benefit downstream resources. The total maximum release from the dam will reach approximately 37,200 cubic-feet-per-second by the evening of Nov. 11. Releases will be maintained at peak release for four days and return to normal operations by the afternoon of Nov. 16. By comparison, last year's flow reached approximately 42,300 cfs. 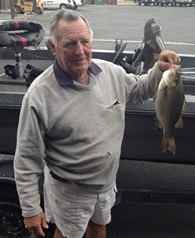 Fishing at Lees Ferry, 16 miles downstream from the dam, has been excellent this year, and this high-flow event should only enhance fishing opportunities. Watch out for floating debris such as leafs and branches the first day. Fishing should be fantastic thereafter. The effect of this release is to loosen up some of the gravel beds and prepare them for an excellent trout spawn this spring. More is being learned each year about how to use the operations of the dam to better conserve resources and enhance fishing opportunities. "We feel this is going to be good for the river on the upper stretch," said Wendy Gunn, owner of Lees Ferry Anglers. "The high flow is going to feed the fish. And we got so much sand from the floods this year in the main channel and in some of the other main areas that it will be good to get it cleaned out."